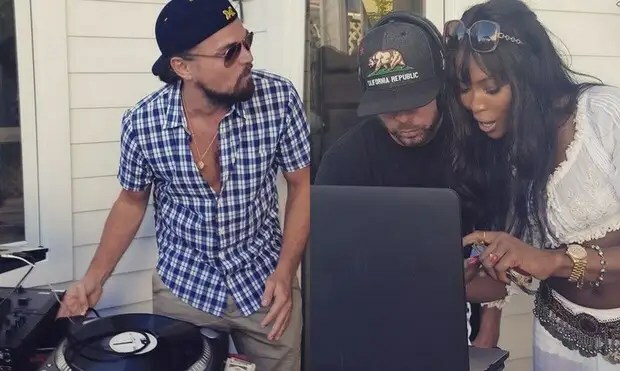 DiCaprio showed off his impressive deejaying skills with Naomi Campbell during a beach party at action star Jason Statham’s house in Malibu on Sunday. Famous faces at the bash included Robin Thicke with his 20-year-old girlfriend April Love Geary, Russell Simmons and Orlando Bloom. Meanwhile, Scott Disick was also seen there, relaxing after a difficult few weeks in which he has split from the mother of his children Kourtney Kardashian. Naomi loved the tunes that Leonardo was playing – as did the rest of the guests. O’Neal Mcknight, said about the great atmosphere. Australian makeup artist Rae Morris was inspired to do makeup all because of one brief incident she had with super model naomi campbell. Can you tell me how you got started in make-up and what really went down with Naomi Campbell? I always say it was five seconds of Naomi’s life that she will never remember but it completely changed mine. I was doing hair at a pageant in Turkey, Istanbul and she was surrounded by all her VIP’s — and something went down with her make-up artist. The makeup artist stormed out and she glanced over, looked straight at me and said ‘Hey, come here and do my lips’. And I just died! I wasn’t even a make-up artist then. I was a hairdresser. I thought ‘It can’t be too hard, I’m a girl, it’s some clear lip gloss. I can do this’. The paparazzi had come in at that exact time and the cameras exploded and I got seen as this international make-up artist — and I went along with it and learnt on the job! You’ve released your own makeup brush collection. What are three essential make up brushes every woman should own? 1. A big foundation brush — [Rae recommends Radiance #26 of her brush range]. The reason for it to be big and super soft because it allows you to polish [the foundation] in and make it look like it is not even there. 2. An angled brush — they do the best brows and are amazing at eyeliners. I don’t think I have ever done a face and not used an angle brush. 3. Pointed eyeshadow brushes — like a calligraphy pen. With a pointed brush, you put product on the tip of the brush so when you apply it to your face, the slightest bit of pressure will make it easier to blend. Whereas square eyeshadow brushes can drag your skin and give you a line, which you then have to go over and blend. Pointed brushes give you that edge. What is your most memorable celebrity encounter? Kelly Rowland came up and asked me for my autograph! I nearly fell over. She bought my book and asked me if I could sign it. That is my career highlight. Another highlight is where I was left with Pink, alone, as her security [guard] because they had to take care of something. I thought ‘Okay, I need to take care of Pink now’, and she just looked at me and said “Honey, don’t worry, I can take care of myself”. What is one piece of make-up advice that you can offer to the women of Australia? I don’t believe in following trends! When was the last time you walked down the street, looked at a woman’s make up and thought ‘She is SO on trend’? I’ve never done that with makeup — I always think, God she looks beautiful or elegant or age appropriate! You should take a photo of yourself before and after — what you do might read differently on camera. We live in a climate in Australia where our skin colour changes — so make sure your foundation changes as your skin colour changes. What makeup product should every women keep in her bag? Tweezers and foundation or sunscreen. If you weren’t doing make up — where would you be? I thought about this the other day! I wanted to do animatronics. I have this interest in sculpture and creating monsters. I have a friend that sculpted ET — something like that would be awesome. 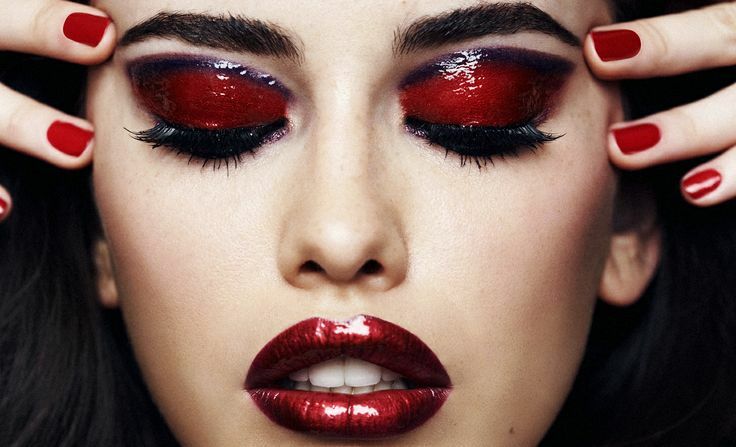 What do you predict will be the next big make up trend? We’ve had a big brow and eyeliner moment, I think the next trend is a big burst of girlie pretty colour.